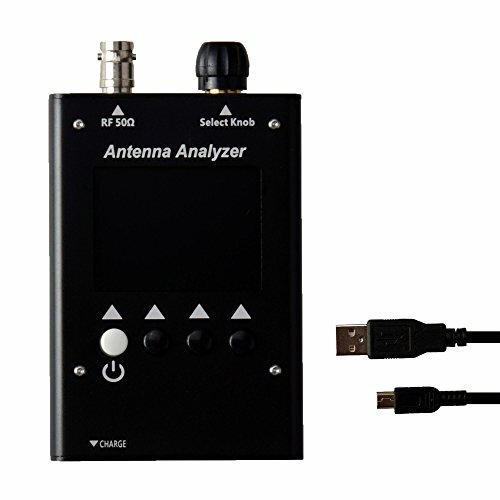 SA-160 antenna analyzers designed for testing, checking, tuning or repairing antennas and antenna feed lines. Mainly, these are S.W.R. (Standing Wave Ratio) and impedance measurement instruments (vector impedance analyzers). Easy-to use measurement modes. make SURECOM attractive for professionals and hobbyists. It is quite important that graphical display of various parameters over a wide frequency range is a key feature of these analyzers which significantly reduces the time required to adjust an antenna. ■ Heavy duty Aluminum enclosure,strong anti-interference ability. ■ More choice measurement frequency Span . ■ One botton quick scan mode HF1,HF2,HF3 or 3 band by full screen. If you have any questions about this product by Gam3Gear, contact us by completing and submitting the form below. If you are looking for a specif part number, please include it with your message.